Always happy when a new Sue Moorcroft announces that its available for pre- order. If you’d like to read the first three chapters – follow this link – And if any readers think I’ve abandoned Scotland, read to the end of the blog for details of my next novel . . .
July was a busy month. Adrienne Vaughan and I arranged a Literary Lunch at the Belmont Hotel, Leicester which raised £300 for MIND. It was also a great chance to showcase our books and to thank people for supporting our writing. We are lucky to have such generous friends and readers. It’s funny how good things happen when you least expect them. I was overwhelmed when Simon Whaley of Writers Magazine contacted me and asked if I’d like to contribute to a piece he was writing on BLOG TOURS. Having taken part in two blog tours in as many months I felt qualified to comment. June saw Bongo Man and me heading for Scotland with our caravan for a month – writing, touring, kicking back. I don’t know what it is about Scotland but it feeds my soul and my imagination. We’ll be returning there this summer, too. This time, we’ll be staying on a site overlooking Castle Stalker which was the inspiration behind Girl in the Castle. For me, writing is all about making friends and sharing my work with others. Through Facebook and Twitter I’ve made many friends who have gone on to become readers and reviewers of my novels. I never take their support for granted. On our way up to Scotland, by an amazing coincidence, one of my proofreaders was staying on the same campsite in Kendal so I was able to thank her in person for all her help. Later in the summer, on the way to Cornwall in July we were able to meet up again at Exeter Service Station where I gave her a signed copy of Take Me, I’m Yours. Who says writing isn’t romantic? LOL. In March I attended the RONAs with La Diva, Isabella Tartaruga, who is always first to read the rough draft of my novels and give me honest feedback. I also met fabulous JILLY COOPER – cue fan girl moment. And, in case you’re wondering, Jilly is even lovelier than you could ever imagine. If I was to choose an author whose books put me on the path to writing, it would have to be Jilly and books such as EMILY, IMOGEN etc. And who could fail to fall for her hero Rupert Campbell-Black in her bonkbuster(s) Polo, Ride and Jump? We’re getting close to the beginning of the year and Burns Night, which we celebrated at our Danish neighbours’ house. Go figure. As for my obsession with Men in Kilts, I encourage my husband Dave to wear his as often as possible. Purely for inspiration you understand. Here he is on his way to the Burns Night supper, looking quite the part. For those who are wondering, we belong to clan LAMONT (pron: Lam’NT, not La Mont). It’s motto is: Ne Parcas Nec Spernas (Neither spare nor dispose). Not quite sure what that means . . . but I do know that I wouldn’t have achieved half of my success without Bongo Man by my side. I’m sure I say this in my sleep! Carole Matthews Book Launch (February), States of Independence (March), Self publishing Conference (April), Deepings Lit Fest (May) RNA Conference (July), RNA York Tea (September), Narberth Book Fair (Wales), return to DMU to give talk on self-publishing. In addition, there’s monthly Belmont Belles meetings which I organise with mu oppo and great mate, June Kearns. If you like superbly written #Hisfic, check out June’s Amazon page. Looks like someone’s writing anew novel ! Delighted to share a fabulous post from Lizzie Lamb today as part of the blogtour for Girl In The Castle. She is sharing her ten top tips for aspiring authors. The idea of writing a novel is both exciting and terrifying. I know because I’ve written and published five novels in six years. I’ve learned a lot along the way and I’m happy to share some of my thoughts with you. Happy New Year to all my followers and friends. I thought I’d look back over 2018 to see what I’d achieved in the writerly sphere. I was surprised by the result . . . So, in reverse order, starting with December here’s what I’ve been up to. Another cracking meeting of the Belmont Belles which I organise with June Kearns. To round up the year’s activities we were honoured to have best selling romance author Carole Matthews as our guest. Cue an inspirational talk and fabulous Q&A session. Also in December, much To my surprise I won a £40 amazon voucher from Kindle Direct Publishing to spend on author copies of my novels. Colour me lucky. Many thanks to the organisers of #UKROMCHAT on Twitter for inviting me onto their fab site and to everyone who joined in with the fun. It was a great evening and the hour went by in a flash, so if you missed it, here are my answers again. Do share and comment, that what this post is all about. Well, if you insist. I am a dyed-in-the-wool romantic. For some women, it’s Regency Rakes, Cowboys or Navy Seals, but for me it’s a man-in-a-kilt. If he’s a highland laird or the heir to a highland estate so much the better. Not because of wealth or belonging to an aristocratic family but because I love a hero who isn’t afraid to shoulder responsibility, care for his tenants and who has a strong connection with the land. Those attributes, allied with a sharp mind, a sense of humour and a willingness to care for the heroine wins me over. As for marine biologists: who could resist Daniel Crain or Sean Connery emerging from the surf in a wetsuit – budgie smugglers, not so much! Urgh. I had bagged an agent (the late Dot Lumley) and HM&B were showing interest in my writing. In 1990 I reached a crossroads, continue with my writing or accept a deputy headship of a large primary school. Because of the demanding nature of teaching, I knew I couldn’t do both and chose the latter. In 2006 I took early retirement from teaching joined the Romantic Novelists’ Association New Writers’ Scheme, wrote Tall, Dark and Kilted and submitted it for a critique. I was told it was ‘almost ready’ to start sending out to agents but needed more polishing. etc. In the meantime, I co-founded NRP with other members of the RNA/NWS. Then, over lunch in my garden, author Amada Grange advised us to consider self-publishing on amazon. The algorithms were changing and . . . well, you can read more about it here – That was in 2012 and we’ve never looked back. I only wish I’d had the chutzpah to self-publish a year earlier because terms were more favourable on Amazon at that point. I loved that Julie Ryan drew parallels between the Buchanans/MacFarlanes and the Capulets and Montagues – warring families indeed. 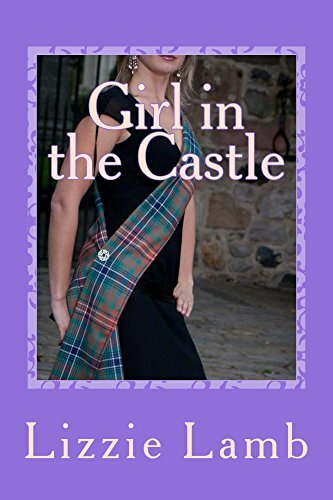 And that she added in her review, I’ve read a couple of Lizzie’s books set in Scotland but this one has the best of both worlds, being set in Wisconsin albeit with a strong Scottish thread running through. Please note: Take Me, I’m Yours was only available at 99p/$1.29 for the duration of the book tour. It is currently available to download for £1.99 – thank you.